OverviewKirby Super Star Ultra is an enhanced remake of the SNES game Kirby Super Star. You will play in various worlds where there's always a challenge that awaits for you. But you will not go alone on this adventure, in any part of this game you can summon a helper of your current ability. As you progress through the game you can also play as meta knight and you will unlock some funny mini games. 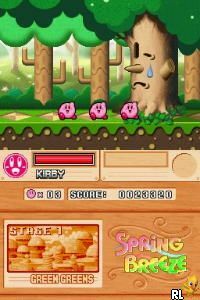 It's a classic kirby game which is perfect for a quick round of playing. The multy player part is a bit crappy. I love all of the Kirby games, really. This was actually one of the best ones, if not the best, ever made. I liked the multiple-games-in-one feature. They all pretty much consist of the same gameplay, only different rules apply and different courses are present. This game can either be a 1 player OR you can set it up with a helper so that you have 2! The helper can also be computer controlled if you don't have someone to co-operate with you. The gameplay is simple: You start off as Kirby and must complete each course to move onto the next (there's boss fights in between some of the courses). You can inhale certain enemies to copy their abilities to use them in courses, or inhale them and spit 'em back out to destroy other enemies! The gameplay is quite similar to that of Super Mario World, only I'd say this is definitely better for beginners as it's a bit easier and never gets quite as hard as Super Mario World. Now you can add videos, screenshots, or other images (cover scans, disc scans, etc.) 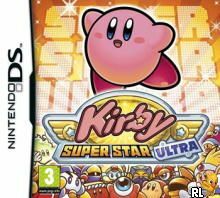 for Kirby Super Star Ultra (EU)(M5)(BAHAMUT) to Emuparadise. Do it now! If you haven't noticed yet, we have a retro game of the day feature (top-right of the screen) wherein we feature a new retro title every single day! Now, you can vote for your favorite games and allow them to have their moment of glory. 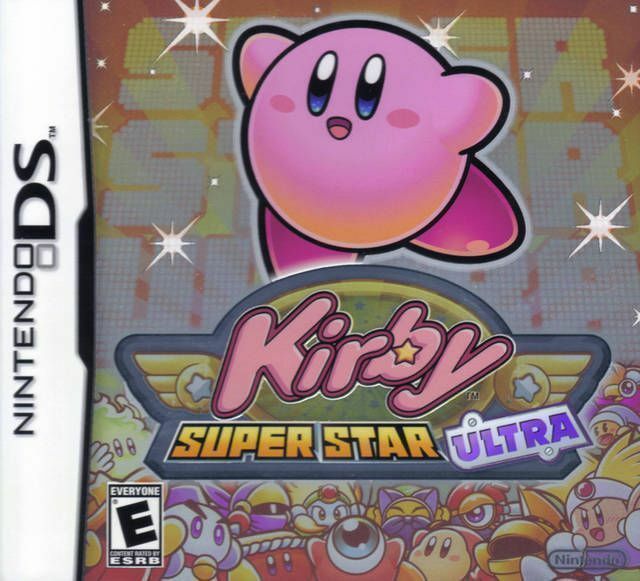 Click on the button below to nominate Kirby Super Star Ultra (EU)(M5)(BAHAMUT) for Retro Game of the Day.